Dr Jasmina Marinova, MD, MRCPCH is a Paediatrician with special interest in neonatal medicine who has just recently joined CTMH Doctors Hospital in October 2017. She brings 27 years of exceptional experience in all aspects of child’s care – healthy and sick neonates, acutely unwell children and children with chronic medical and developmental conditions. Dr Jasmina Marinova acquired her Master’s degree in Medicine from the Bulgarian Medical Academy, followed by a specialty in Paediatrics. In her home country, Bulgaria, she worked as a neonatologist in a leading maternity hospital with about 3,000 deliveries/per year, dealing with a variety of complex congenital and acquired conditions in the newborn babies. Along with her hospital commitments, Dr. Jasmina Marinova had a well-established practice as an independent Paediatrician to the Diplomatic Mission. Through that experience, she had the chance to work with families from different backgrounds and cultures and gained invaluable knowledge about the world’s diversity in child healthcare and upbringing. For the last 15 years, Dr. Jasmina Marinova has been living and working in the UK. She became a member of the Royal College of Paediatrics & Child Health in 2006 and completed her postgrad training in the University Hospital of Oxford. She worked in the Neonatal and Paediatric ‘Intensive Care’ at the world-renowned John Radcliffe Hospital, where there are more than 6000 deliveries per year and children with various complex conditions. During these years she mastered her skills and techniques in advanced Newborn & Paediatric Resuscitation, as well as assessment and management of critically unwell infants and children. 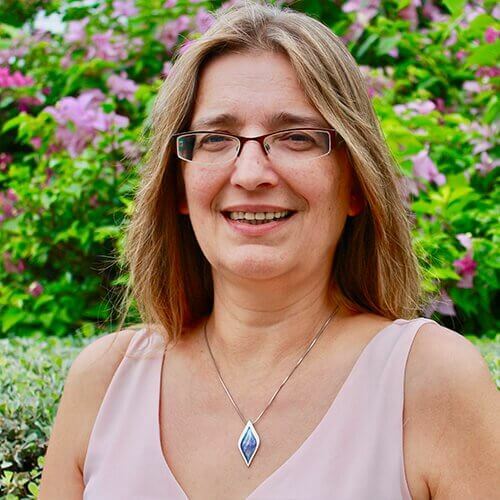 Since 2010 Dr. Jasmina Marinova has been a Paediatric Consultant with special interest in neonatal medicine in the UK’s Kettering General Hospital, with full clinical, educational and managerial responsibilities. Despite her busy inpatient and outpatient clinical practice, Dr. Jasmina Marinova has been intensely involved in medical education and junior doctors’ training. She teaches and directs Newborn Life Support courses and was a Trust simulation lead with emphasis on neonatal simulation. Dr. Jasmina Marinova is a fully accomplished Paediatrician with special interest in neonates and infants’ wellbeing, paediatric blood disorders, and ambulatory care. She is passionate about working in a partnership with the whole family and ensuring continuity of child healthcare. She strongly believes that her expertise will complement the drive of CTMH Doctors Hospital to deliver excellent women’s, infant’s and child care. Dr. Jasmina Marinova offers a range of neonatal and paediatric services as antenatal consultations, attendance at delivery, comprehensive newborn examination, well-baby checkups, immunizations as per Cayman HSA schedule or/and preferred by families’ home country schedule, breastfeeding support, ‘Urgent Care’ for sick children at any age. Dr. Jasmina Marinova is married and has a son and a daughter who pursue their careers in the UK.